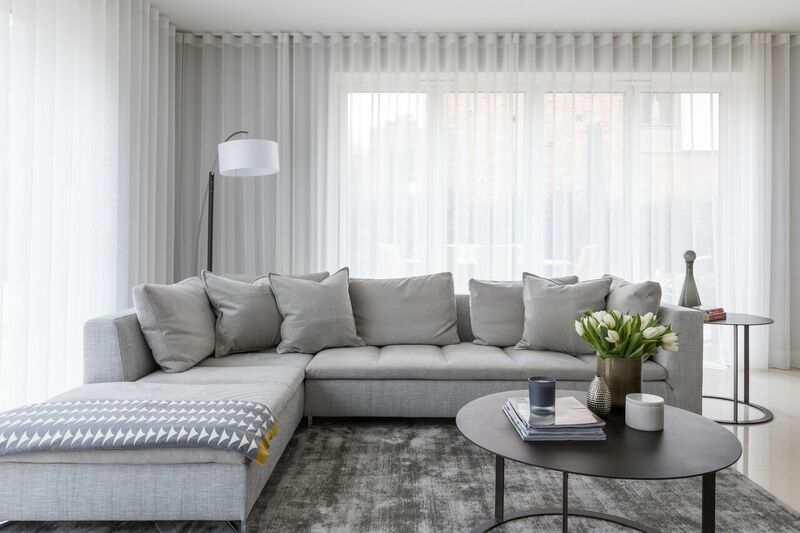 This wonderful use of light dove greys and off white sheers is a perfect example of the serene Scandi design which is right on trend now. Designed by the fantastically talented Sara Slade and her team. Photographed by Jonathan Bond Photography. The sheer used here is our collection Milas in colour Ecru.